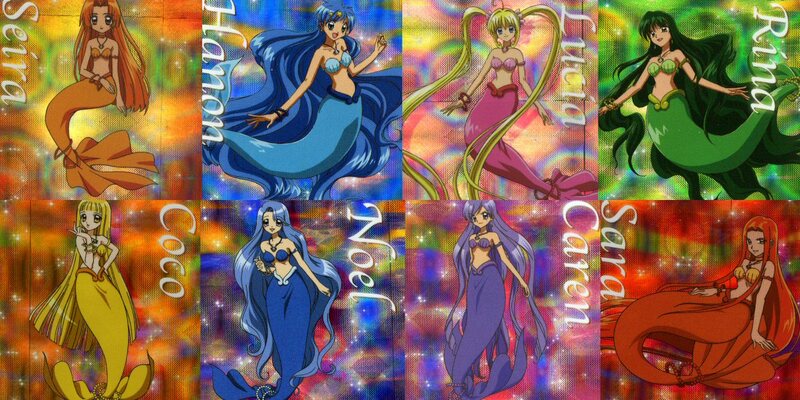 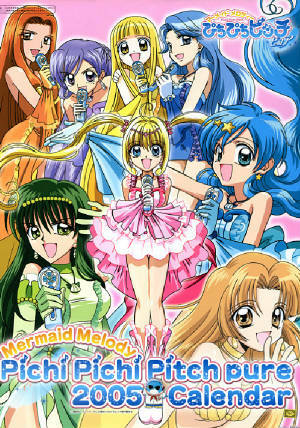 Mermaid Melody Pichi Pichi Pitch is a Japanese manga series, written by Yokote Michiko, and drawn by Hanamori Pink. 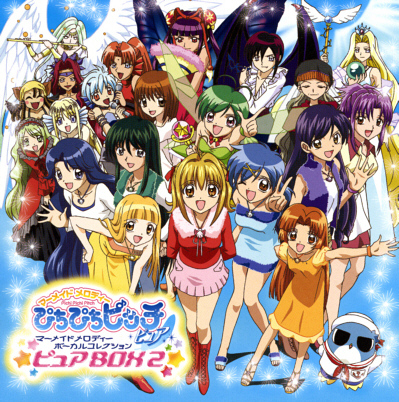 The manga is 32 chapters long, comprising seven collected volumes, or tankouban. 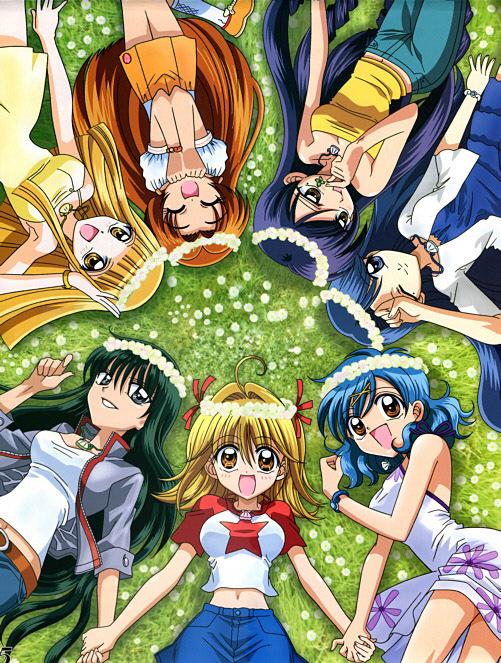 In addition, Pichi Pichi Pitch has also been made into a television anime series, which was divided into two distinct seasons, Pichi Pichi Pitch (52 episodes) and Pichi Pichi Pitch Pure (39 episodes).